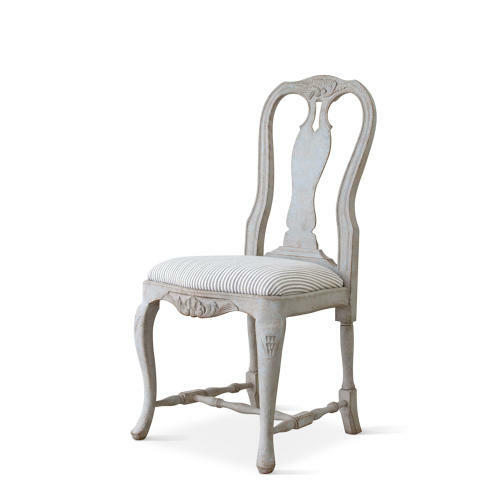 Our beautiful 'Agneta' dining chair is hand carved in solid birch and is a historically accurate rendition of an original 18th century Swedish Rococo side chair. Available in a range of authentic Swedish hand painted antique patinas. Upholster in a fabric of your choice. Other bespoke hand carved Swedish chair designs are available, please email us at enquiries@georgialacey.co.uk or call +44 (0)1892 516 850 for more information and photos.